David Noll (far left) and his family, including, from left, wife Linda Noll, daughter Kristy Oakley, and son-in-law Dominic Oakley, bring the pure products of New Zealand to health-conscious, or just flavor-conscious, Americans. When David Noll escaped California in the 1970s to chase waves and seek a more idyllic life, he found bliss in New Zealand, working as a lab tech and laborer, finding a wife, and then running a bicycle store. But his real calling — to be the man who spread the superfood magic of manuka honey throughout the United States — came almost by accident in the early 1980s, when he brought a batch of honey from beekeeper friends back to California while visiting his parents in Santa Barbara. At that time, the positive health benefits of manuka honey — though appreciated for millennia by the Maori people — weren’t quite as well-documented as they are today, and it wouldn’t even be commercially branded as “manuka” until a few years later. But the basic New Zealand honey was truly all-natural, raw, and more complex than much else on the market, which especially caught the attention of boutique grocers and the growing legion of health-food stores. With the interest so apparent, Noll loaded up an old Dodge van with honey jars and drove from San Diego to San Francisco. “I didn’t come home until the van was empty,” he said. In 1984, after 13 years living in New Zealand, Noll and his wife, Linda Noll, moved with their kids to Santa Barbara and founded Pacific Resources International, or PRI. In 1989, they became the first company to bring authentic manuka honey into the United States and also expanded to importing New Zealand sea salt. Unlike many sea salts on the market today, which are simply extracted from the ocean and then industrially refined into straight sodium chloride, the New Zealand salt is naturally dried and retains all of the beneficial trace elements. While PRI moves a lot of salt — in the form of everything from finely ground to seasoned to margarita salt — it’s the manuka honey that pays 80 percent of the bills. Coming from bees that pollinate flowers of the manuka tree, which is a shrub-like plant that grows throughout New Zealand, the honey offers antioxidant, anti-inflammatory, and antibacterial properties, effective in fighting everything from sore throats and sick stomachs to wounds, bedsores, and diabetic ulcers. That’s made manuka a booming industry, as the world’s interest in healthy eating and food as medicine continues to climb. “It is still going on today,” said Noll. “The biggest growth in the whole food industry is natural, organic foods.” He now has customers in Panama, Mexico, and Dubai, among other far-flung regions. And New Zealand landowners that used to rip out manuka to make way for pastureland are also chasing the trend. “Now a lot of dairy farmers are planting manuka and getting rid of cows,” said Noll. The explosive growth does spawn imitators, of course. “It’s caused some detriments to our industry, with big players offering items that are branded ‘natural’ but aren’t wholesome,” said Noll, referring to the broad health-food category, into which refined sugars, flours, and other less-than-ideal products are increasingly allowed. And the fast-rising manuka honey business is a ripe target — at one point, British regulators found that there was more so-called manuka honey for sale in their country than was produced in the entire country of New Zealand. In the late 1990s, to combat would-be fakers, legitimate producers, including PRI, introduced a special scale called Unique Manuka Factor, or UMF. It measures the amount of leptosperin, DHA, and, most importantly, methylglyoxal in each batch, the ingredients that give manuka its positive power. That’s helped for those who are savvy enough to monitor the UMF, but it hasn’t completely eliminated the problem. There is still all sorts of trickery employed on labels by some of the more popular manuka brands, many of which process the honey outside of New Zealand to avoid regulators. “It’s just pure skulduggery,” said Noll of those opportunist, truth-twisting competitors. PRI sells jars ranging from UMF 5+ ($40 for one pound) to UMF 20+ ($180 for one pound), and their levels are tested by an independent lab every quarter. “Our clients are only paying $50 to $180 for a one-pound jar because it’s working for them,” said Noll, who also sells much more affordable manuka chocolates, caramels, and honey sticks, as well as honey from other plants, like Australian leatherwood and blue borage. 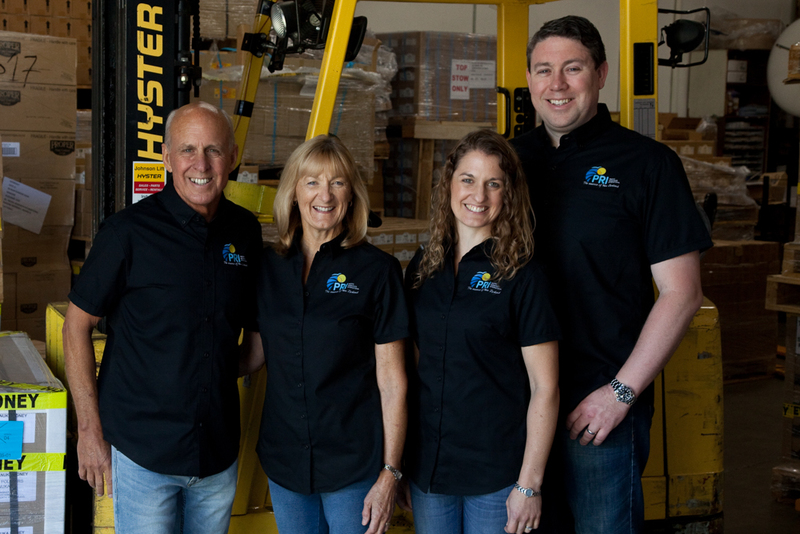 Noll is perhaps most proud of keeping PRI a family company, as his daughter Kristy Oakley and son-in-law Dominic Oakley manage much of the operation now, which includes eight employees. In 2015, his son Nathan and Nathan’s wife, Whitney Noll, took over Pacific Health Foods, the store in downtown Carpinteria that David’s parents founded in 1991. And with four more children and soon-to-be 13 grandkids, there’s a good chance that PRI will remain a Noll operation for many years to come.